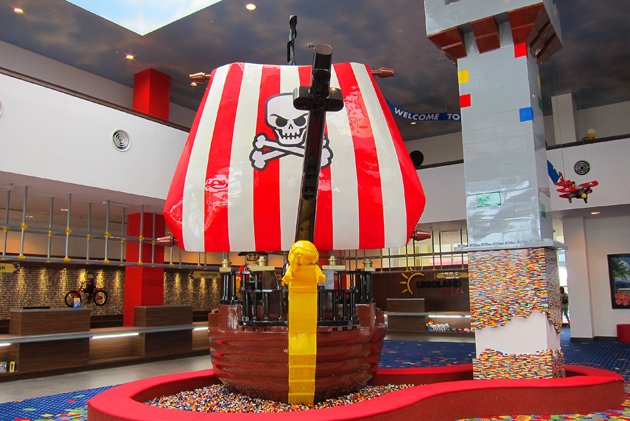 To all of us – fans of the LEGOLAND theme park, we’ll be delighted to know that LEGOLAND Hotel Malaysia opened its door on the 29 Nov 2013 to welcome guests from across the region. 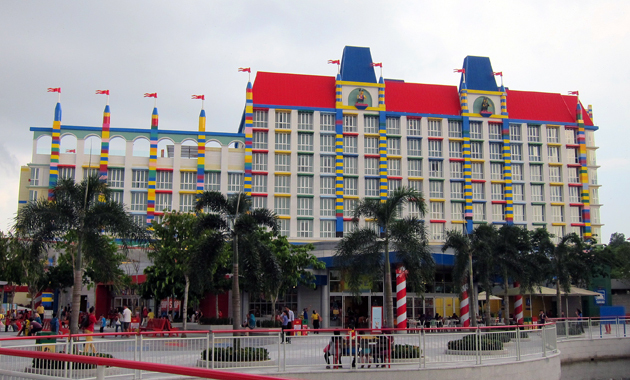 This is Asia’s first LEGOLAND Hotel which offers 249 uniquely themed bedrooms, and its opening also marks the complete transformation of LEGOLAND into a Resort. 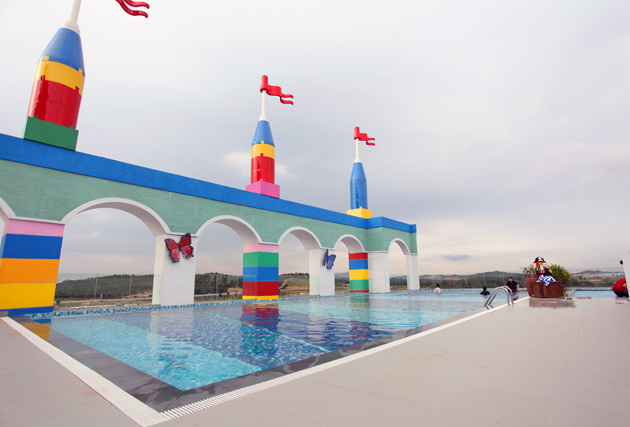 Now, LEGOLAND Malaysia Resort brings together a Theme Park, Water Park and Hotel in one LEGO® themed location with more than 70 hands-on rides, slides, shows and attractions. This is really exciting! It’s just an hour drive from Singapore customs to this unique holiday destination. And we have one more option on our holiday list now! 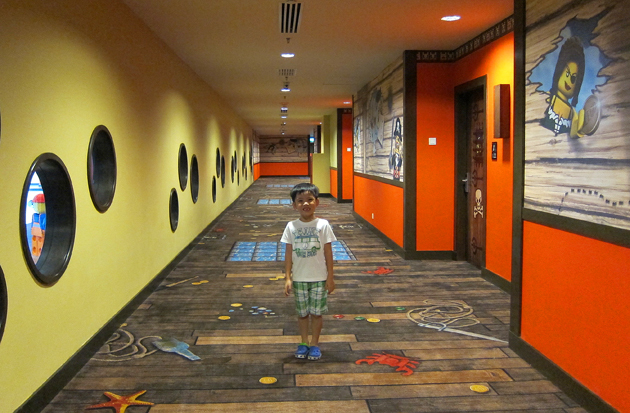 We’re truly grateful to be invited to the LEGOLAND Hotel media preview and be the first to stay in this hotel. And I’m equally excited to share all the details of this hotel with you today on my blog. Hopefully, if you’re planning a trip to this resort, this post will be helpful to you. 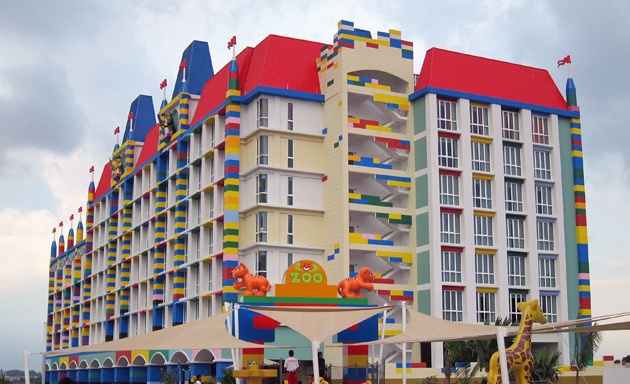 The moment I saw LEGOLAND Hotel, I was like “Wow! 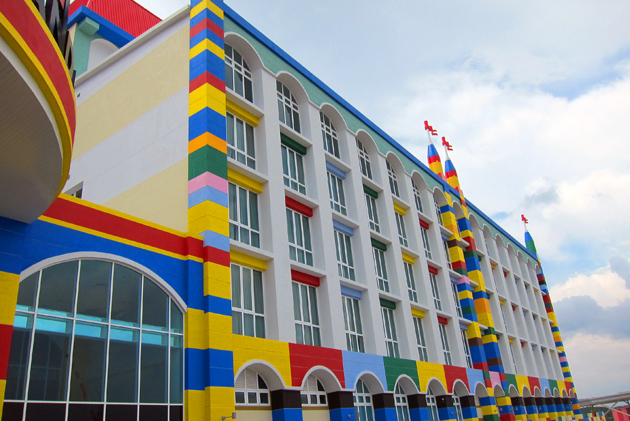 This hotel looks like it’s built entirely with millions and millions of LEGO bricks!” What’s immediately striking is how bright and fresh the hotel looks like with its classic LEGO colour scheme. 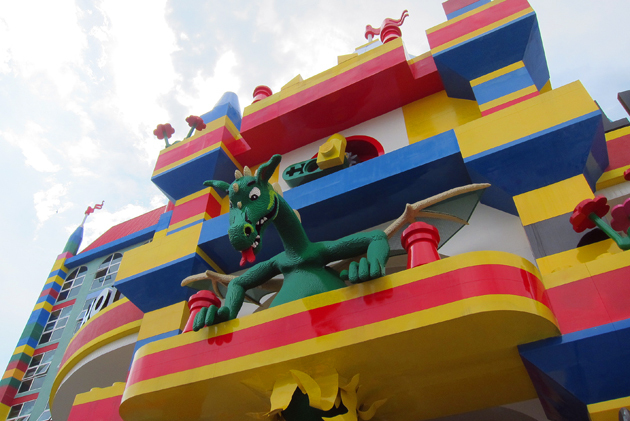 The entrance of the hotel is guarded by a huge, brick built dragon. It roars with smoke coming from its nostrils every 30 minutes, 24 hours a day. Yes, the dragon never sleeps and if you happen to hear roaring sound, don’t be puzzled. It’s from the dragon. When we stepped into the hotel reception, Little Edison was truly amazed and he went “Oh, I haven’t seen so much LEGO bricks in my entire life! Everywhere here is LEGO!” He was beaming with joy and excitement! That’s what I called a true child’s paradise. 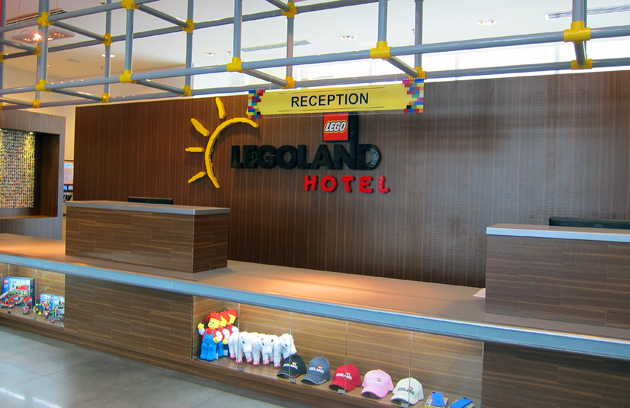 Entering the reception area gives a great sense of what’s in store in the rest of the LEGOLAND Hotel. On the left, there is a huge 32-foot high pirate shipwreck with a LEGO river. On the right, there is a big castle guarded by a LEGO ogre where children can actually enter and play. 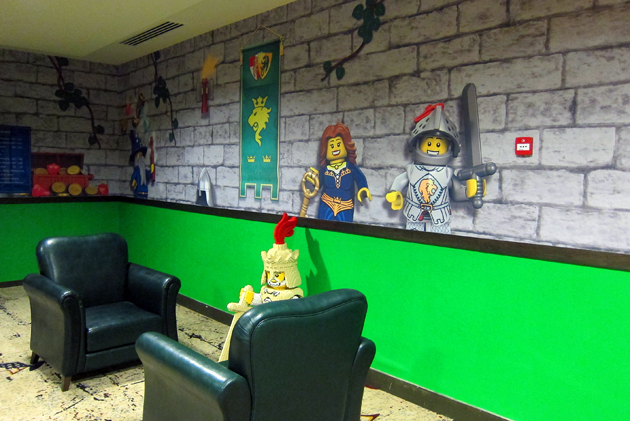 It’s a perfect idea that at LEGOLAND, children don’t need to feel bored while waiting for their parents to check-in. They can immediately have some fun at the pirate shipwreck and castle. 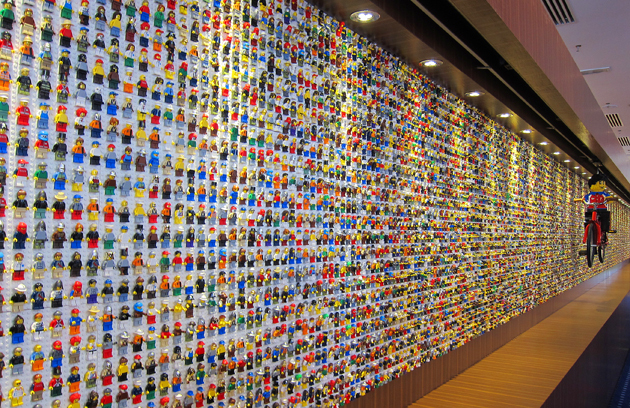 When you check-in, you’ll be impressed with the amazing display of 12,528 LEGO mini-figures behind the reception desk. 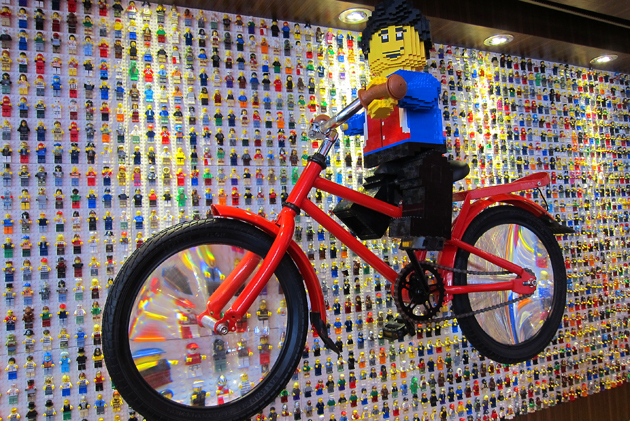 A giant LEGO figure will cycle across the display, with magnifying glasses on the wheels. I simply love the attention to details that adds to the uniqueness of this hotel. 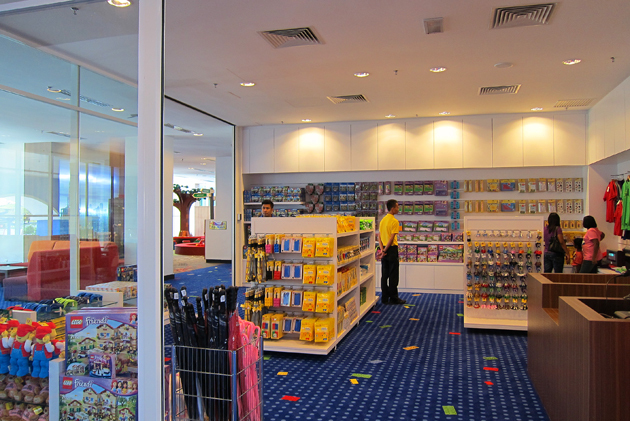 There is a retail shop for guests to buy their souvenirs. 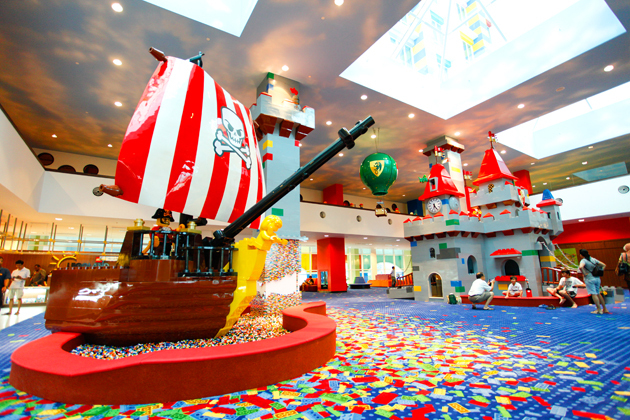 There’s also a dedicated play area with more than 100,000 LEGO bricks. For toddlers, there is a special play area with bricks foams (softer in texture). Oh, have I mentioned about the Xbox 360 Kinetic in the play area? I think parents will have good fun too! There is a courtyard garden, swimming pool and children’s wadding pool in this hotel. 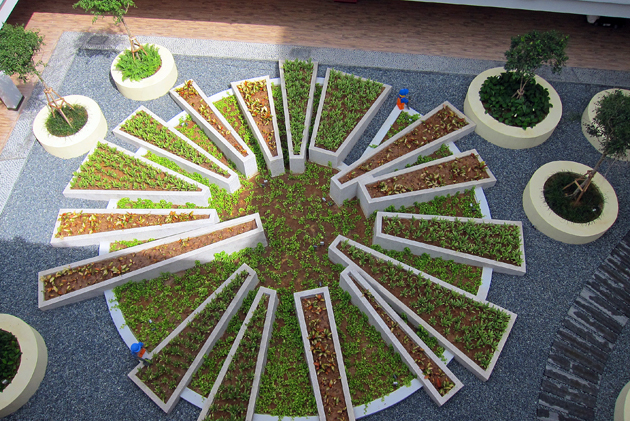 There are also daily kids activities organized by the hotel staffs. 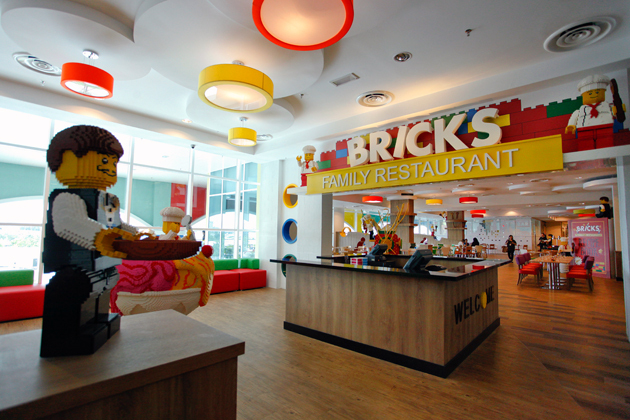 Bricks Family Restaurant is the biggest restaurant in this hotel that serves breakfast, lunch and dinner in a buffet-style. 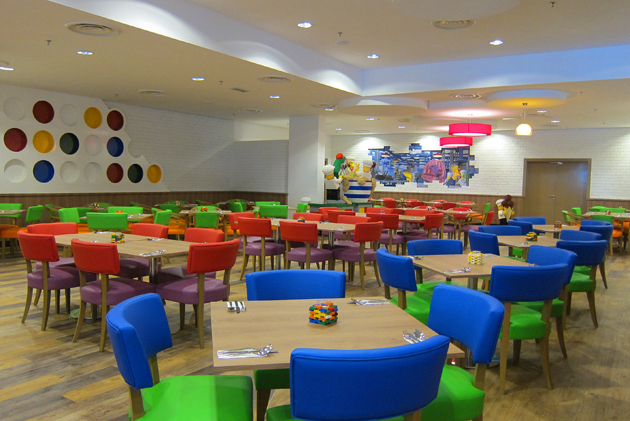 The dining environment is wonderfully relaxed and spacious for children to move around. 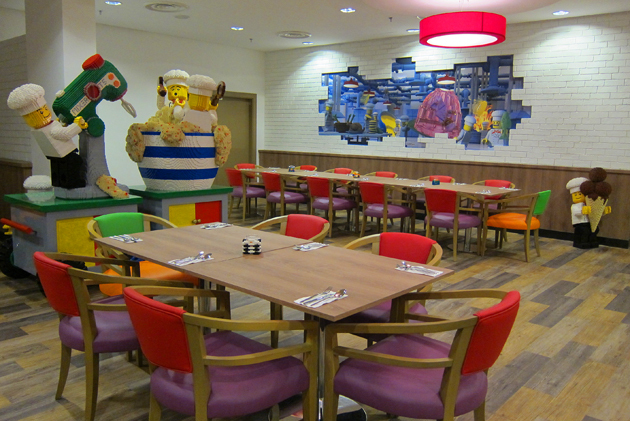 The furnishing is colourful and bright, and you’ll also see LEGO fun elements in the restaurant. Once check-in is completed, the LEGO lifts will take guests to their appropriate floors. You need to scan your hotel key card to gain access to the specific floors (good security!). From the character-themed ‘disco’ lifts to the themed bedrooms and throughout the entire floor, the walls, carpets and doors are designed according to their themes. The three themes are Pirate, Adventure and Kingdom. 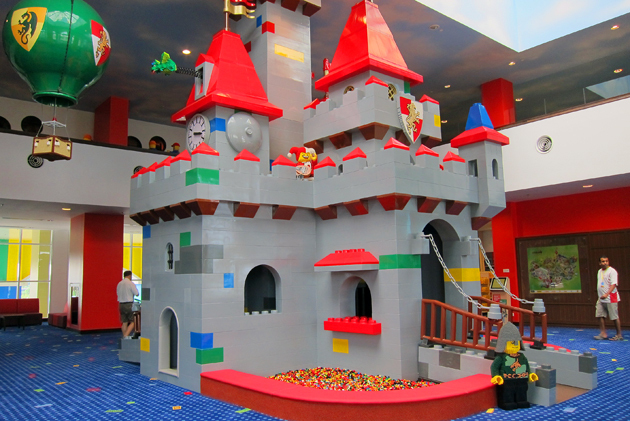 One post is certainly not enough to share with you about this beautiful LEGOLAND Hotel. In my next post, I will take you to our premium pirate-themed bedroom. So, please stay tuned! Please visit Legoland Malaysia website at www.LEGOLAND.my for more information.